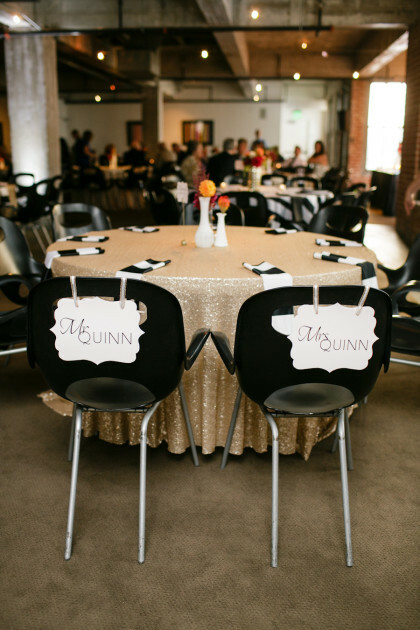 Katie + Ryan’s modern Oklahoma wedding coordinated by Emerson Events is so much fun. 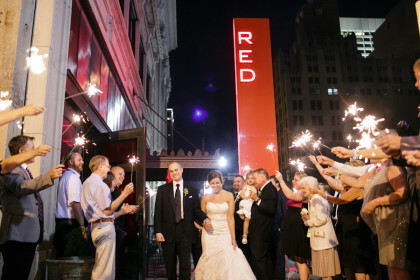 How cute is their reception at the delicious Red PrimeSteak? 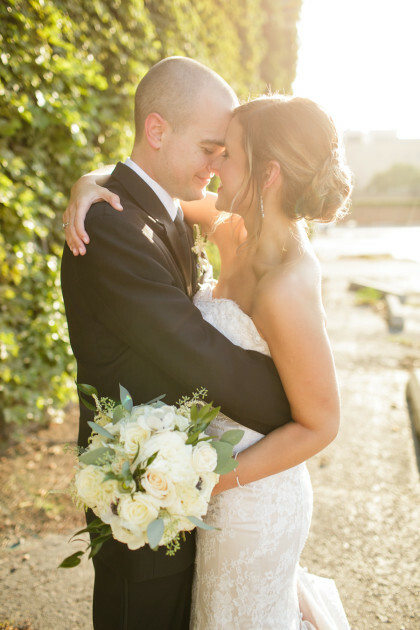 Enjoy their gallery and be sure to catch their sweet story below! 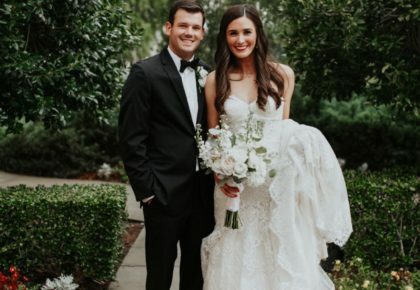 Katie and Ryan were college sweethearts and knew they were meant to be when they were introduced through mutual friends at the University of Oklahoma. 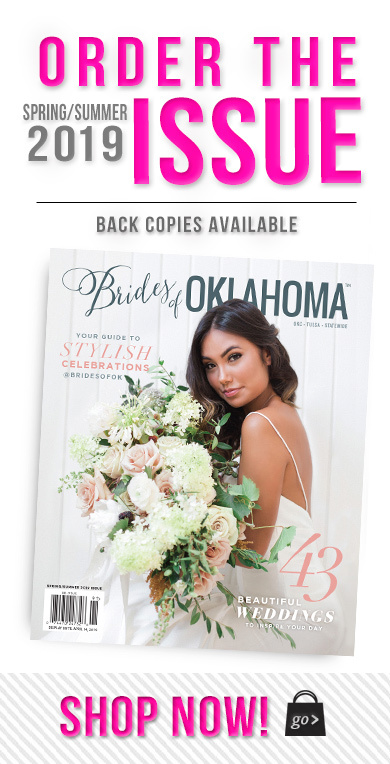 The couple tied the knot in Oklahoma City on August 2, with the help of the talented Emerson Events. 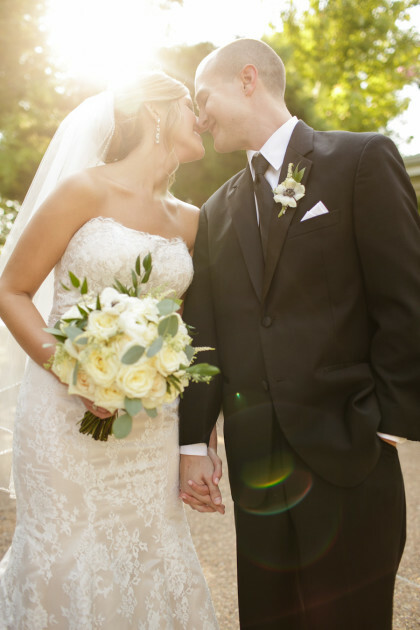 The lovely day could not have been more perfect with sunshine and highs in the 80s – unheard of for August! 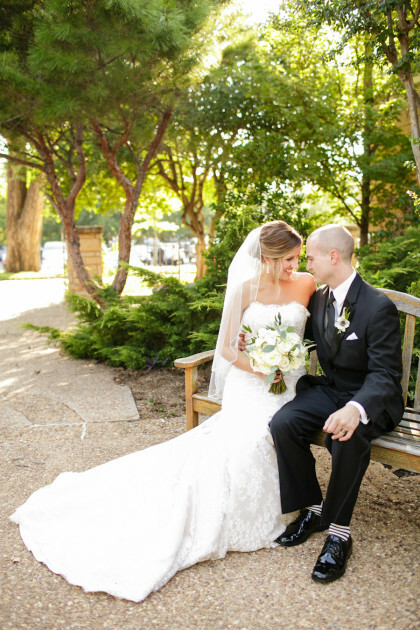 Vows were exchanged at the beautiful Nichols Hills United Methodist Church. 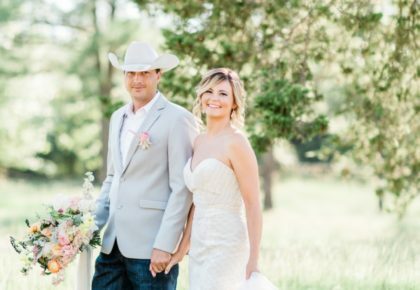 The ceremony was officiated by Reverend Jeremy Basset and Reverend Pam Cottrill with music accompaniment of a string quartet. 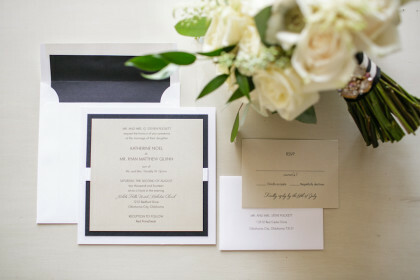 The ceremony was classically neutral with altar arrangements of white hydrangea, white snapdragon and greenery in gold metallic urns. 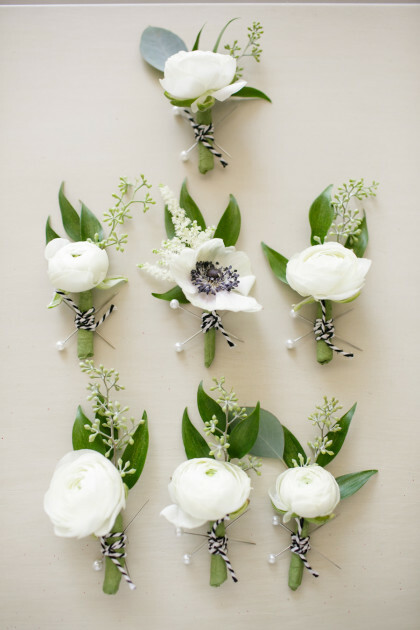 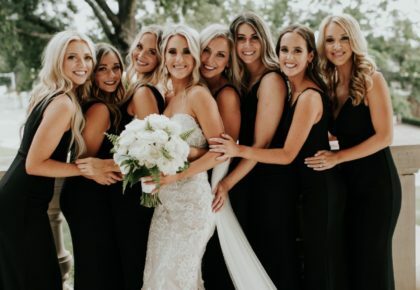 The bride and bridesmaids’ bouquets included ivory garden roses, black and white anemones, white astilbe, seeded eucalyptus and Italian ruscus. 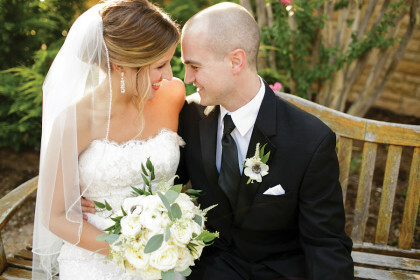 Katie’s gown was a champagne-colored strapless, satin gown with all-over ivory lace overlay and a beaded belt. 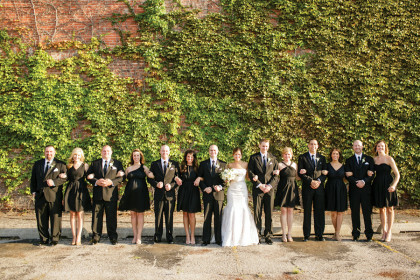 Bridesmaids wore black chiffon dresses of all different styles. 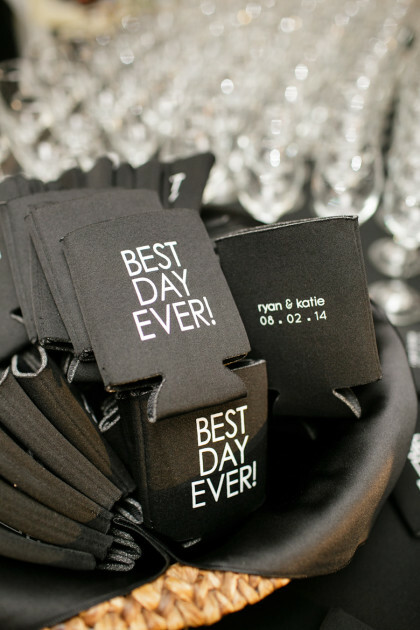 The groom and groomsmen wore classic black and white tuxedos with fun black and white striped socks they were all given as gifts. 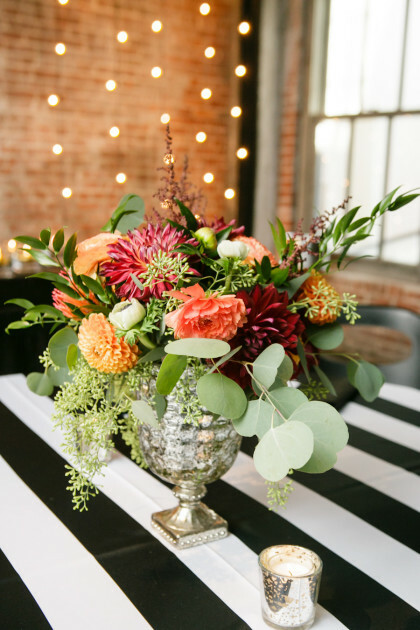 With a neutral ceremony, the Red PrimeSteak reception took the black and white theme up a notch with a mixture of modern black and white striped and champagne sequin linens along with pops of color in the flower centerpieces. 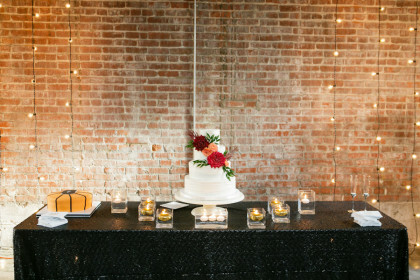 A few of Katie’s favorite décor details of the reception were the use of bistro lighting behind the cake table, lighted “K&R” marquee letters, and of course, the black and white checkered dance floor. 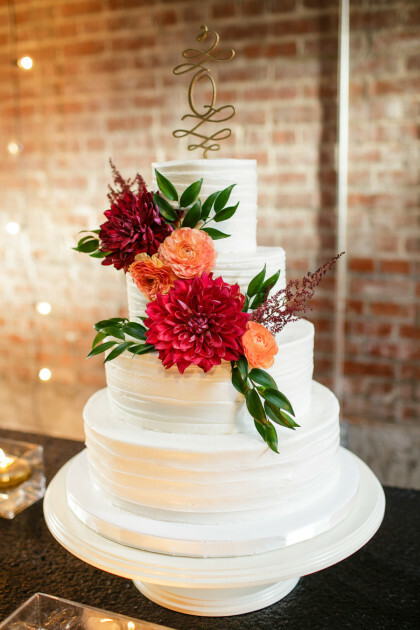 After a delicious buffet of Red PrimeSteak favorites, the couple and guests enjoyed the incredible cakes and danced the night away with the help of Jesse at DJ Express. 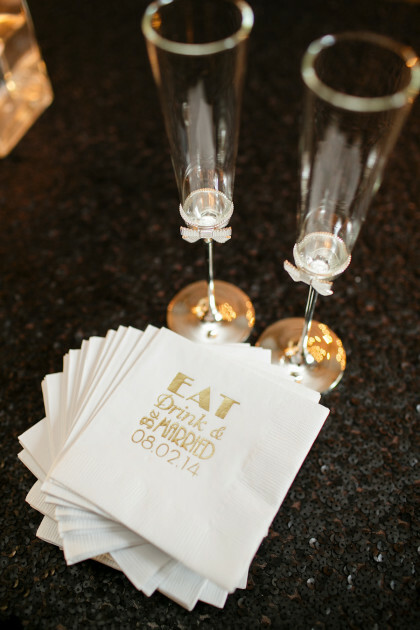 Guests also enjoyed the BotBooth and took home keepsake pictures. 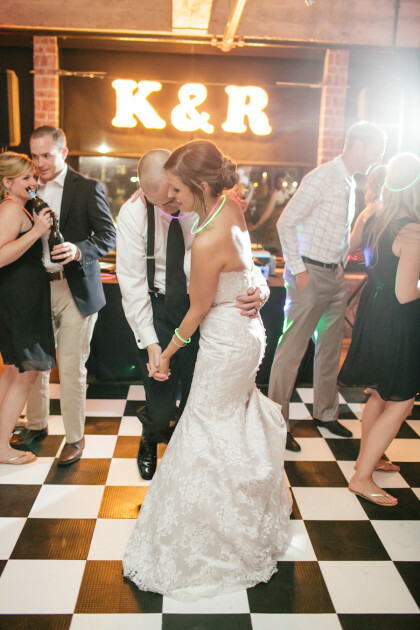 The fun night ended with a dance to “You’re My Friend” by Queen and a sparkler exit. 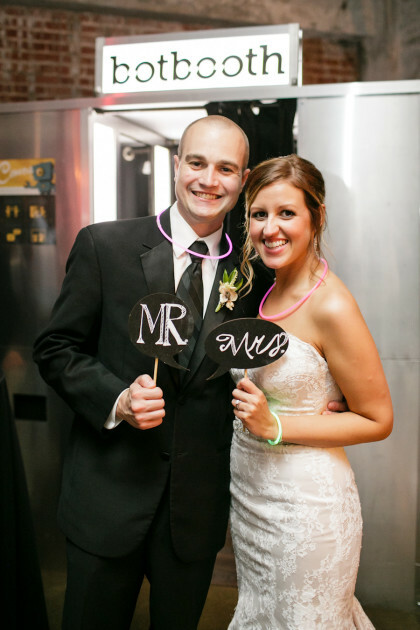 Katie and Ryan loved getting to celebrate their marriage with wonderful family and friends. 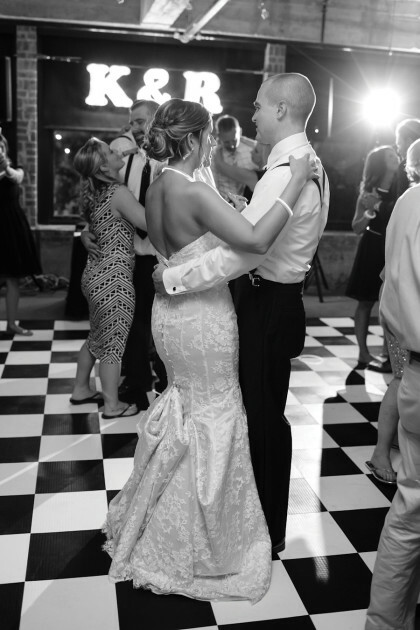 The two honeymooned in tropical Riviera Maya, Mexico, and could not be more excited to finally be married and begin this next chapter in their lives. 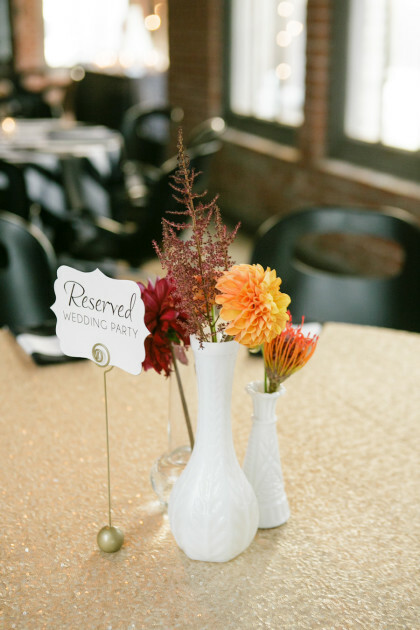 « Previous Post: Kendra Scott Color Bar Party Giveaway!